Type T 3 way ball valve. Sends flow to both left and right from the center port or to the left or right from the center port depending on handle orientation. Do a search for T STYLE 3 way valve before purchasing. 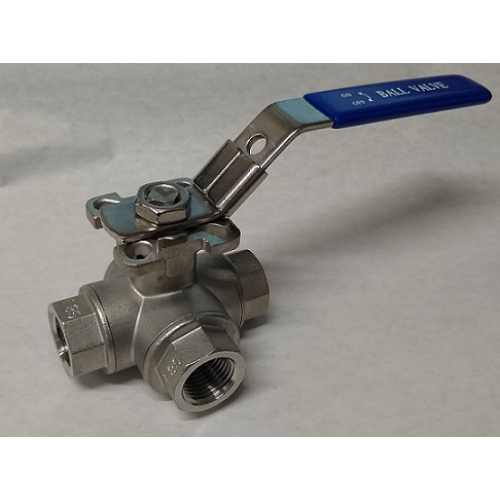 304 stainless steel - standard port flow.